On July 2, 2018, Saskatoon’s Sum Theatre launched its sixth annual Theatre in the Park (TITP) with Queen Seraphina and the Land of Vertebraat, the story of a land where everyone is disabled, and therefore everything must be accessible. The first three years of TITP had featured well-known, family friendly stories – Alice, Pied Piper and Hercules. In year four, addressing a desire to engage other sectors of the community, Artistic Director Joel Bernbaum and the company adapted Métis author Maria Campbell’s Little Badger and the Fire Spirit, and in year five, the Syrian folk tale The Lion and the Woodcutter. In 2017, Joel decided the show would focus on disability. Sum commissioned Adam Pottle, an award-winning poet, novelist, and emerging playwright to write the summer show. I had served as dramaturg on Adam’s first play, Ultrasound, about deafness and Deaf culture. Cahoots Theatre’s 2016 premiere had required a huge outlay of additional resources: two deaf actors; American Sign Language interpreters throughout development to production; surtitles developed along with the text. In the process, Cahoots created the Deaf Artists & Theatres Toolkit, a resource for other artists and theatres who want to work together on a project that included deaf artists or had as its focus Deaf culture. Heldegarde casts a spell. Performers: Megan Zong, Kristel Harder, Lancelot Knight, Krystle Pederson, Michael Martin, Chris Dodd and 25 children. Photo by Ehjae Chan. While the DATT offered some tools for the production of Seraphina, it did not address the host of new challenges the company faced. In my role as dramaturg, I found myself dramaturging not just the text, the staging, and the production elements, but the process (and in my head, I hear Kugler telling me, “Yvette, it’s always about the process”). Like Queen Seraphina, actor Haley Brown uses a wheelchair, and although Haley participated in the development of the play from the beginning, generously consulting on the design of the set, we still kept discovering new ways to fail. Further, the ramps had beautifully smooth edges, which was aesthetically very pleasing, but hazardous. What we needed instead was some kind of border rim so that the actor could feel if she was at the edge of the ramp and in danger of going right over. “No more ramps. No more Braille. No more hand language.” Performers L-R: Lancelot Knight, Kristel Harder, Krystal Pederson, Haley Brown, Michael Martin, J.R. Hewison, Megan Zong and ASL interpreter Rosalie Wishlow. Photo by Ehjae Chan. Haley suggests hiring an access coordinator, which would reduce the pressure on the disabled performer to identify the gaps and suggest solutions, and would also make dealing with the challenges “a little less personal,” as Joel desires, but again raises the issue of resources. Queen Seraphina enjoyed huge support from the funders (including a Canada Council Sector and Innovation Development grant to train ASL interpreters for theatre), sponsors, and community groups, but the very act assembling the resources was a Herculean task. How does the company prioritize? I too have responsibility, as the dramaturg, for not being able to foresee how the obstacles were going to manifest, but I too cannot know what I do not know, and cultural sensitivity is a process, not a product. We worked through it, with the generosity and patience of all involved, but these are not easy conversations, and some theatres and some artists may not be willing to invest the time and energy into having them. The company of Queen Seraphina and the Land of Vertebraat. Photo by Ehjae Chan. Joel hopes that Sum Theatre’s model will allow other Saskatchewan theatres to imagine themselves hiring a disabled actor, making a production more accessible. He is currently pursuing funding to support a cross-sector accessibility initiative. But it’s not just about changing the theatres, it’s also changing the community. 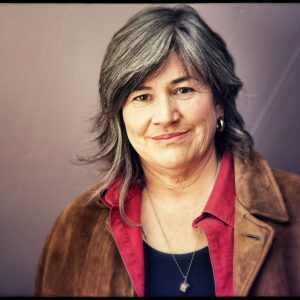 "Yvette Nolan is a playwright, director and dramaturg who works all over Turtle Island. Her plays include BLADE, Annie Mae’s Movement, The Birds and The Unplugging. From 2003-2011, she served as the Artistic Director of Native Earth Performing Arts. Her book Medicine Shows, about Indigenous performance in Canada, was published in 2015. She is an Artistic Associate with Signal Theatre. "